NPR Fresh Air interview, aired on April 30, 2013 and March 21, 2014. Twenty years ago, when brain imaging made it possible for researchers to study the minds of violent criminals and compare them to the brain imaging of “normal” people, a whole new field of research — neurocriminology — opened up. 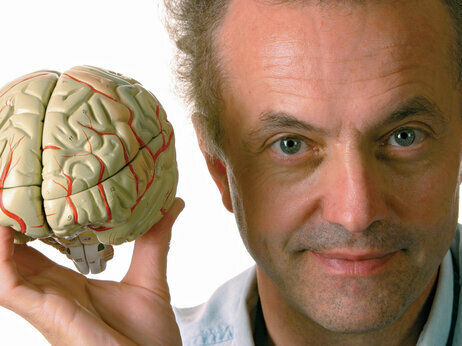 Adrian Raine was the first person to conduct a brain imaging study on murderers and has since continued to study the brains of violent criminals and psychopaths. His research has convinced him that while there is a social and environmental element to violent behavior, there’s another side of the coin, and that side is biology. “Just as there’s a biological basis for schizophrenia and anxiety disorders and depression, I’m saying here there’s a biological basis also to recidivistic violent offending,” Raine, a professor at the University of Pennsylvania and author of the book The Anatomy of Violence: The Biological Roots of Crime, tells Fresh Air‘s Terry Gross. Raine says this re-visioning of violent criminals could potentially help direct how we approach crime prevention and rehabilitation. The key question that preoccupies Raine, however, is that of punishment and the question of the death penalty.